Spectrum Aquatics® Xcellerator Dual Post starting platforms give swimmers an extra boost on starts by allowing the rear leg to start at a 90? angle. 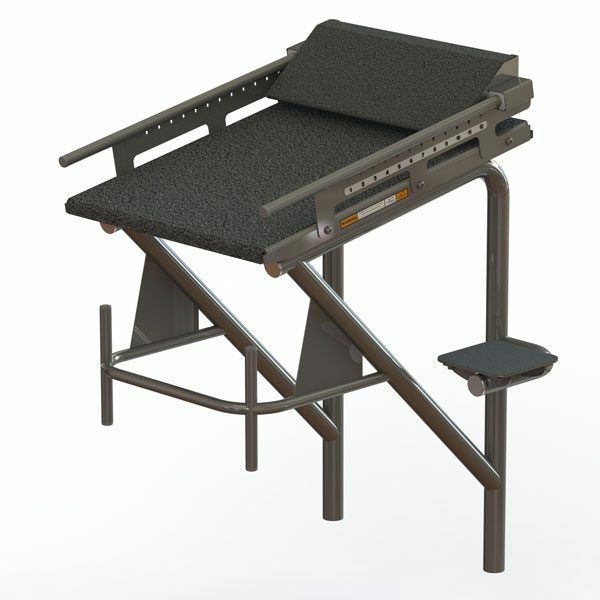 Every frame is constructed of high quality US stainless steel, but what really sets our blocks apart from our competitors is the superior nonslip surface. Xcellerator block tops are coated with a grit overlay that provides a level of traction not available in competing products, and our plastic block tops, which are made of low density polyethylene, contain a superior, treaded surface that surpasses industry standards. Our single post anchoring system features a unique heavy duty bronze anchor with a patented anti-wobble, locator pin design. This enables easy installation and removal of starting blocks with no tools required. Spectrum Aquatics blocks can accommodate nearly any deck and gutter configuration for both recreational and competition pools and can often be manufactured to fit into existing anchors. 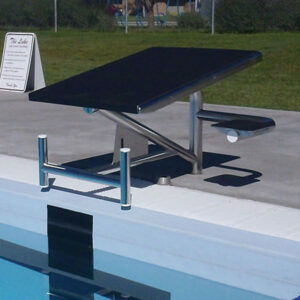 The Xcellerator Starting Platform conforms to FINA, USA Swimming, NCAA and NFHS rulings.